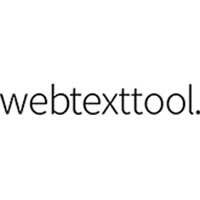 Webtexttool is a pretty new tool that is built to make it easy to create SEO friendly texts for your projects. 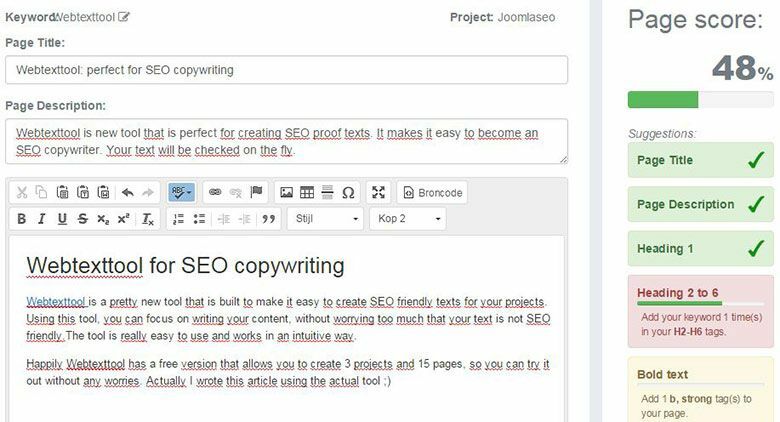 Using this tool, you can focus on writing your content, without worrying too much that your text is not SEO friendly.The tool is really easy to use and works in an intuitive way. 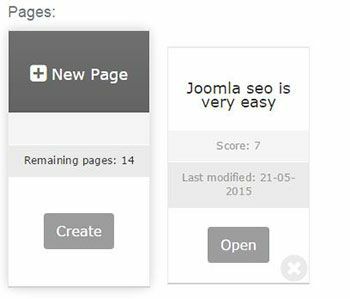 Update: A Joomla integration is currently available! See this blogpost. Note that it is not always necessary to aim for 100%. Issues like missing italic text is not as bad as missing H1's, so use common sense here. The fact that you can try it out for free gives you plenty of room for experimentation, and the paid packages are not that expensive too: €8,95 for the Copywriter package and €39,95 for full functionality for SEO agencies. Simply start with a free Webtexttool account here.